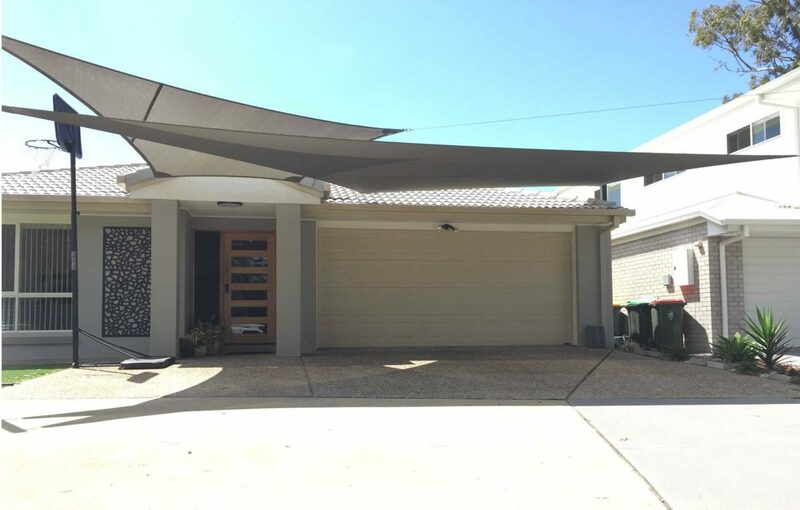 Modiform have recently completed a beautiful architectural shade sail combination that protects two vehicles and creates a stunning entrance arrival to the home’s front door. 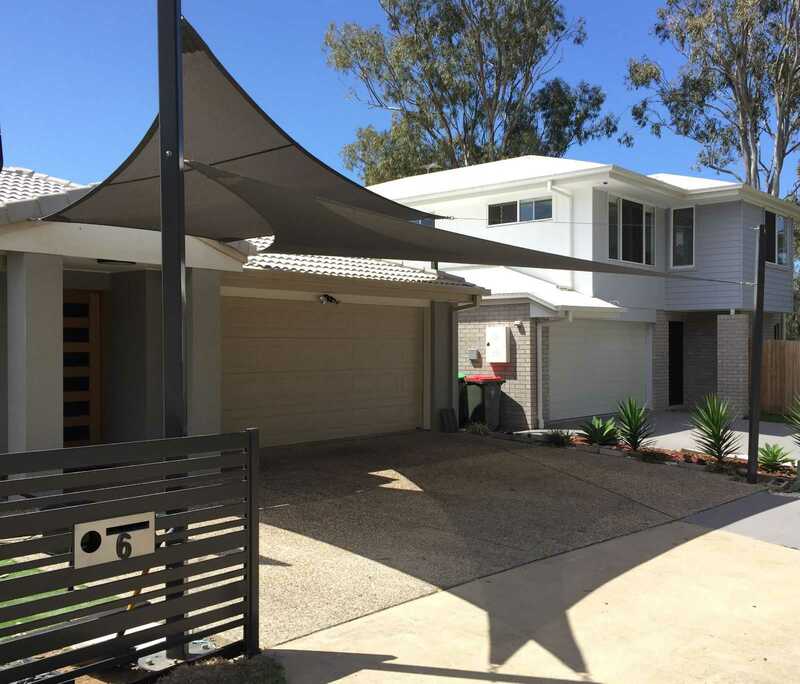 Designed to shade two family cars and front entrance, the final design was to maximise coverage of the driveway. 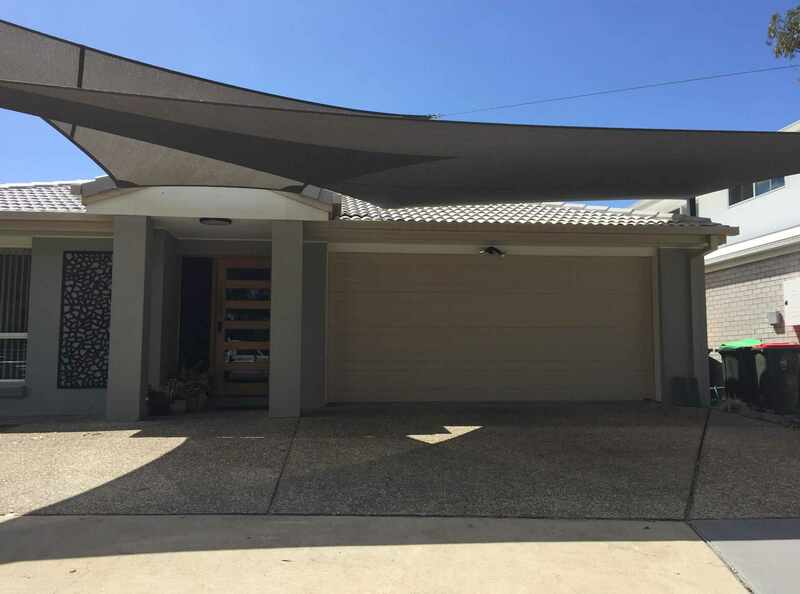 We accomplished this by fixing each corner to the existing roof and fascia’s of the home. 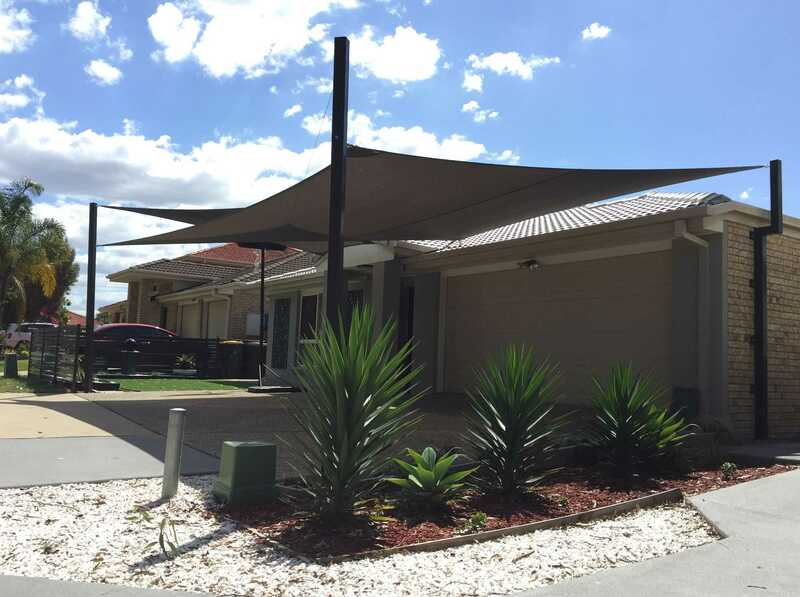 By overlapping the shade sails, with several smaller overlapping sails connected at different heights provide an architectural, dramatic look that enhances the front entrance, even more so than with one or two shade that do not overlapping sails. 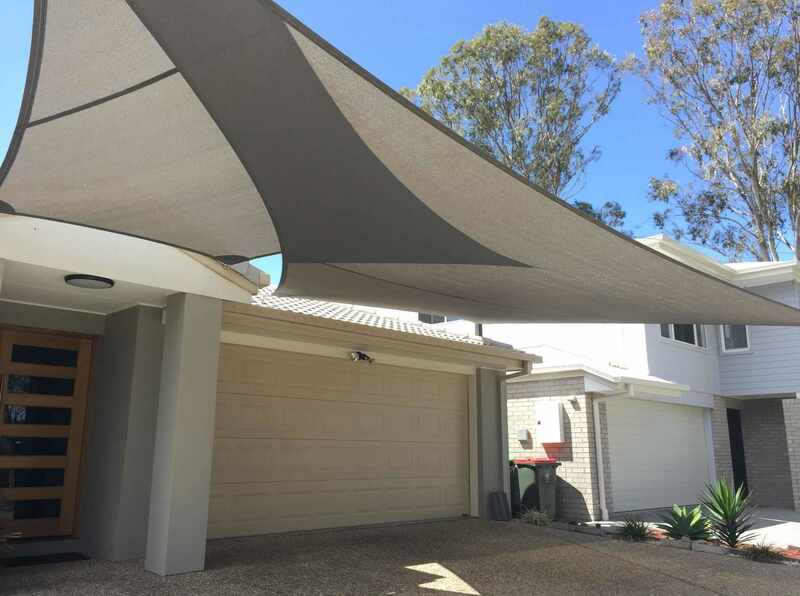 To avoid chafing of the fabric, Modiform Shade Sails created a safe distance between them so the sails don’t rub against each other and cause damage to the fabric over time. Increasing strength by twisting the sail into a hyperbolic parabola, also gives a 3 dimensional stretch to the fabric. To enhance this even further, we attached one corner of the four sided sail significantly higher than the other corners. 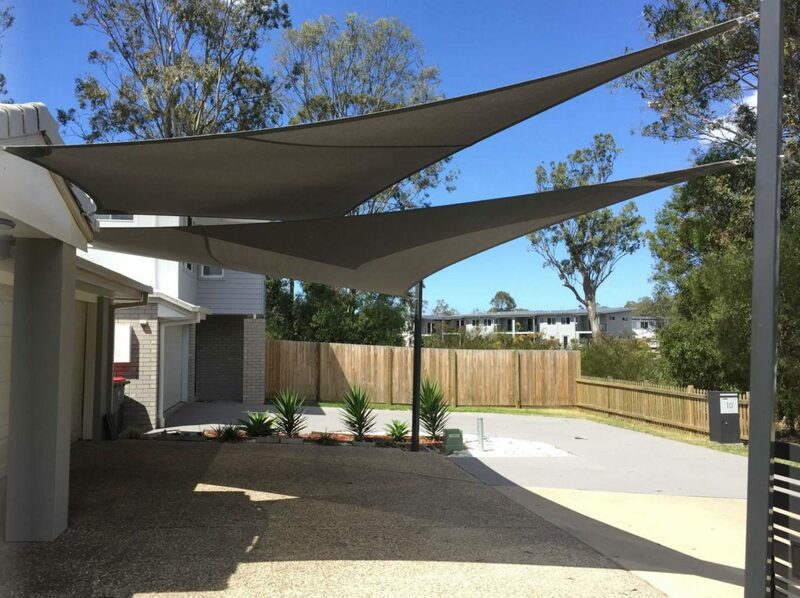 This distribution of overall tension resulted in a strong shade sail that lasts longer than other two dimensional shade sails.